When it comes to buying DX lenses, the choices unfortunately aren’t all that clearly laid out. By that I mean there are almost too many options and there so many lenses with overlapping focal lengths that it’s hard to know where to begin in your research. I think the focal lengths for FX lenses are actually much easier to choose from. But I’ve owned and sold a ton of DX lenses so I’ve been there and done that. I’ve bought multiple lenses that I should have stayed away from and saved my money. So in this article I’m going to narrow down the choices for you so that you have all your general focal lengths covered and so that you don’t go out and buy more lenses than you really need. It’s way more about the images you produce with your gear than the gear itself, and I think we all forget that from time to time. 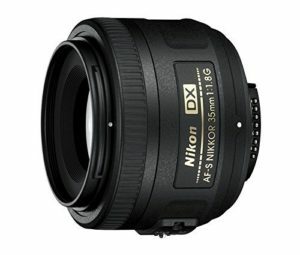 So here are my picks for the best Nikon DX lenses Nikon has in their lineup. With a slightly narrower zoom range than some of the other wide angle options for DX cameras, the Tokina had to do something to make up for that with the 11-16mm f/2.8. And they did – with an extra stop of aperture. I think the most important thing the wider aperture gives the lens is more sharpness at equivalent apertures of other lenses. Compared to the Nikon 12-24mm f/4, for example, it’s noticeably sharper at f/4 at the wide end. Not too surprising, as most lenses get sharper as you stop down some. It’s not a huge difference, but worth noting. The Tokina 11-16mm f/2.8 is not perfect by any means – it’s pretty soft in the corners wide open, doesn’t very well with flare, and has pretty significant barrel distortion shot at 11mm. But when stopped down the corners get a lot sharper and the barrel distortion is can be corrected nicely in post. For me, I don’t care all that much about how it performs wide open because I use it mainly for landscapes. Stopped down to f/8 or f/11 and this thing is an exceptional performer. When I shoot it indoors for architectural photography or real estate photography, I usually shoot with a tripod so I don’t need the wider aperture and prefer the depth of field anyway. 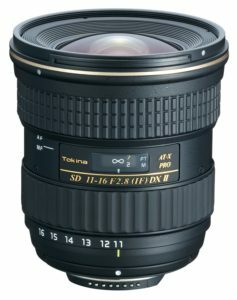 Putting the Tokina 11-16mm f/2.8 as the best Nikon DX wide angle lens on this list was not an easy choice – Nikon’s 12-24mm f/4 is a great lens as well. It has a couple things going for it that make it a tough decision between it and the Tokina (it definitely deals with flare better and it obviously has a wider zoom range) but I don’t think it justifies the large difference in price. Many photographers, myself included buy wide angle zooms to use them more at the wide end anyway, so the extra range of the Nikon do much for me. 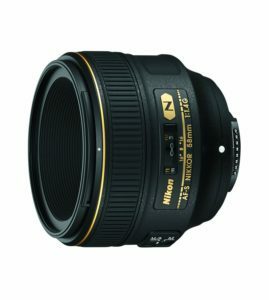 The Nikkor 12-24mm f/4 is still a great lens but was released over 13 years ago as of this writing and is in need of an upgrade if I were to recommend it over the Tokina. It’s my opinion that every photographer should have at least one fast prime in their gear bag. While the high ISO capabilities of modern cameras are getting better and better by the year, we’re still not at the point where we can slap lenses with maximum apertures of f/4 on our cameras and call it a day. In some situations, you just need those extra stops of light that you get from lenses with a nice, wide maximum aperture. And, of course, not only that but also the smaller depth of field and bokeh capabilities you get with wider apertures. I’m not always going for a shallow depth of field look with the Nikkor DX 35mm f/1.8G, but it’s always nice to have the low light capabilities when you need it. And the wide aperture means it’s nice and sharp when stopped down just a bit. The great thing about the Nikkor DX 35mm f/1.8G is that it’s a steal for the price. With this lens you get like 99% of what many “pro” lenses offer but at literally a fraction of the cost. I can’t say that I love this lens because I’ve never been a huge fan of the 50mm focal length (on DX cameras it’s actually a 52.5mm equivalent) but it’s a really nice tool to have in your bag when the occasion calls for it. 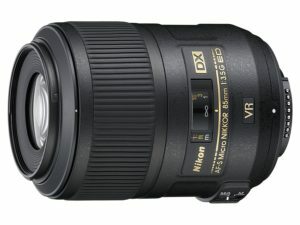 For DX cameras, this is not just the best prime lens, it’s the absolute best lens you can put on a Nikon crop sensor camera. I’m a huge fan of the 35mm focal length. And with the DX crop factor, this lens comes in at 36mm, a negligible difference. It’s just such a useful focal length, partly because it’s just slightly wider than the field of view of the human eye. It’s wide enough to take pictures of people indoors in enclosed spaces, but not too wide that you can’t include subjects in your backgrounds as main points of focus. 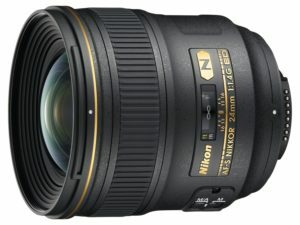 With the Nikon 24mm f/1.4G, you get that awesome 36mm focal length on DX cameras with extremely high performance optics. When lens reviewers call lenses sharp, you get the feeling that a lot of times what they really mean is “sharp enough”. Well, the Nikon 24mm f/1.4G isn’t just “sharp enough”, it blows most lenses out of the water. The amount of detail it resolves is really quite impressive. It’s literally the sharpest Nikon lens I’ve used – and while I didn’t care as much about sharpness when I first started out in photography, I place a lot of importance on it now. But Nikon was able to do something special with this lens, because normally manufacturers have to make a decision on whether to focus more on sharpness or a lenses character. What I mean is that the Nikon 24mm f/1.4G isn’t just blandly sharp – it also has the ability to really make images “pop”. It produces great, contrasty images and is capable of gorgeous bokeh and blown out backgrounds – not all that common among lenses of this focal length. The Nikon 24mm f/1.4G is expensive but it’s worth it if you can afford it – if you really want the best you’ve got to be prepared to shell out a bit. With the 1.5 DX crop factor making the Nikkor 58mm f/1.4G effectively an 87mm lens, you have a classically good focal length for portraits. With the Nikkor 58mm f/1.4G, you get stunning image quality. And I don’t say that lightly. It’s one of very few lenses on the market that that truly makes images that have an other worldly quality to them. It’s a lens that renders reality just slightly more beautiful than it really is. Colors just pop out at you and the out-of-focus areas just turn into washy bokeh goodness. As far as Nikon lenses go, it’s in my top three favorites along with the 85 f/1.4 and 35 f/1.4. If you don’t believe me I highly recommend you try it out for yourself. You probably won’t want to take it off your camera. But yeah, in my opinion the 58mm is the best Nikon DX portrait lens by a long shot. The 85mm 1.4 is a great option too but I prefer the working distance you get with the 58mm 1.4 on DX bodies. In terms of zooms covering the “standard” focal length, it doesn’t get much better than the Nikkor DX 17-55mm f/2.8G. You do have to deal with a big hulking piece of glass that has a size you’d expect more from lenses made for full frame cameras, but you get a very useful focal range and solid image quality. It’s not the sharpest lens on planet earth but plenty sharp for the vast most purposes. It also has really nice color reproduction. Aside from its hefty weight, the other con that comes to mind about the Nikkor DX 17-55mm f/2.8G is its mediocre bokeh. It’s not horrible by any means but overall just does not inspire that “wow” factor that you get with other lenses more known for their bokeh. But you buy this lens for the usefulness and practicality of its focal length, not for its bokeh. The DX Micro Nikkor 85mm f/3.5G is a lesser known lens, as it’s somewhat overshadowed by glass made for FX cameras, such as the Micro 105mm f/2.8G. That doesn’t mean you should count the DX Micro Nikkor 85mm f/3.5G out. In fact, it’s easily the best DX macro for Nikon DSLRs in my opinion. Using the Micro 105mm f/2.8G is not the most practical option on DX cameras in my opinion – as it comes out to being an equivalent focal length of 157.5mm. This is actually a nice focal length for macro work where you need to keep your distance from your subjects and not disturb them, like macro photography. While the 127.5mm equivalent vocal length of the 85mm f/3.5 is pretty long in its own right, but more manageable than the 105 for most purposes. In my opinion, with the 105mm focal length you already have to stay pretty far away if you’re trying to fill your frame with small subjects. You can always use extension tubes if you need to get closer, but there’s nothing you can do to make your lenses wider. Anyway, the DX Micro Nikkor 85mm f/3.5G is extremely sharp – one of Nikon’s sharpest. It produces really nice, contrasty colors with tons of detail. The lens’s VR is also a nice touch and makes up for the fact that it doesn’t have the widest aperture. 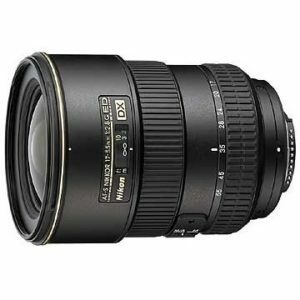 With an effective focal length zoom range of 105-300mm, the whole range is great for portraits. It also gives you a lot of reach for shooting sports or wildlife at a distance. 300mm is the perfect focal length for shooting basketball games from the other end of the court. And, making it even better for fast action, it’s by far that fastest focusing Nikon lens I’ve owned. It’s got great image quality, especially for a zoom. It’s tack sharp. It has nice bokeh but it’s not one of those out-of-this world bokeh lenses like the “cream machine” Nikon 85mm f/1.4G. It’s also a nice lens for weddings when you need to keep some distance from your subjects. Whether you don’t want to disturb things during the ceremony or the first dance. The 70-300mm f/4.5-5.6G VR is another good option if you need even more reach. Which is definitely necessary sometimes for certain types of wildlife and bird photography when disturbing your subjects is not an option. 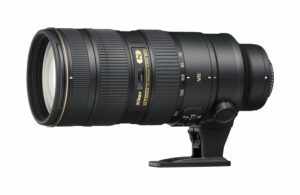 At the long end of the 70-300mm f/4.5-5.6G VR with a DX camera, you get a very long 450mm at a really affordable price. Unfortunately shooting at 300mm with this lens produces its weakest image quality but is still perfectly usable for most purposes. Are there more lens options out there for DX cameras? Absolutely. There are a ton of them. These are the ones that I’ve had the best experiences with and cover pretty much all of the focal lengths that most photographers need. There are several other options out there for specialty photography if you need something really wide or more telephoto. But again, these lenses cover your standard focal lengths – and many photographers can get by with far less than all of them. If I had to choose just one lens that I could use for the rest of my life it would just be a 35mm prime.